This past year paved the way for wellness-driven beauty brands, which according to us is not a trend. In fact, it is the future of beauty. Both consumers and retailers are recognizing the concept of holistic beauty. It’s safe to assume that beauty is no longer just skin deep. It’s the dual action of what we put inside our bodies as well as on the outside that will define the new barometer of beauty. Beauty consumers are more aware than ever before of the link between inner balance, holistic wellness and their positive impact on outward beauty. Our prediction for 2019 is that health and beauty will further converge with continued blurring of lines, as more and more consumers experiment with ingredients that are known for their goodness. The emphasis this year is all about harnessing your skin’s natural restorative and replenishing abilities with the help of the right blends. The focus has shifted from looking beautiful to feeling beautiful. This is the philosophy we embody at amaiaa. Our skin is a reflection of our inner health and overall wellness. In this article, we’ve got the 10 best pro-tips to jumpstart your skincare resolutions. We wish you a beautiful year ahead! What are the 10 Natural Skin Care Resolutions? Elegance should be simple, and that is our mission here at amaiaa. This year more people will realize that they can replace their chemically-laden products for one or two simple, clean products that are simply bursting with antioxidants and nutrients. Our products are simple in that they contain everything your skin needs and none of what it doesn’t. They get straight to the point, targeting your skin issues with real, antioxidant rich ingredients to restore and rejuvenate the skin. At the cornerstone of any good skincare routine is the double cleanse. Women all over the world swear by this method for a fresh, smooth complexion, and we’re certainly on board. The main thought behind this method is that you remove makeup and toxins with the first oil-based cleanse, and then follow with the second foamy (natural) cleanse which prepares your skin for receiving your toner and oils. Sometimes referred to as the 3-second rule, and sometimes the 10-second rule. Whichever clock you decide to race against for this tip… the premise is the same. Your pores are most receptive to toners or moisturizers right after your skin has been steamed. This is why you shouldn’t wait too long to start your skin care routine once you’ve stepped out of the shower or bath to lock in moisture, while keeping your skin protected. Facial exercises are a great way to tone, firm, and brighten the skin, while providing much needed circulation to the muscles and nutrients to aid in skin regeneration. You’ve likely heard the phrase “prevention is better than cure” and it certainly rings true when it comes to your skin. You can either wait until deep lines take root, or start early with face yoga and reduce the likelihood of early signs of aging. 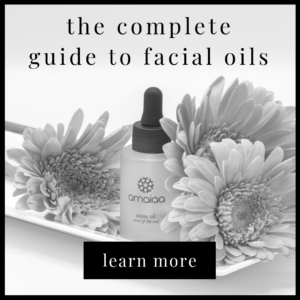 Most facial exercises can be done by massaging your face with a dab or two of nourishing oils or moisturizer. If you’re not sure what to use, try our atma facial oil for a morning skin workout to help keep your skin illuminated all day long. Or, if you prefer doing facial exercises at night, our night revival saya facial oil is the ideal choice. This may seem obvious, but hydrating throughout the day is the key to facial radiance. 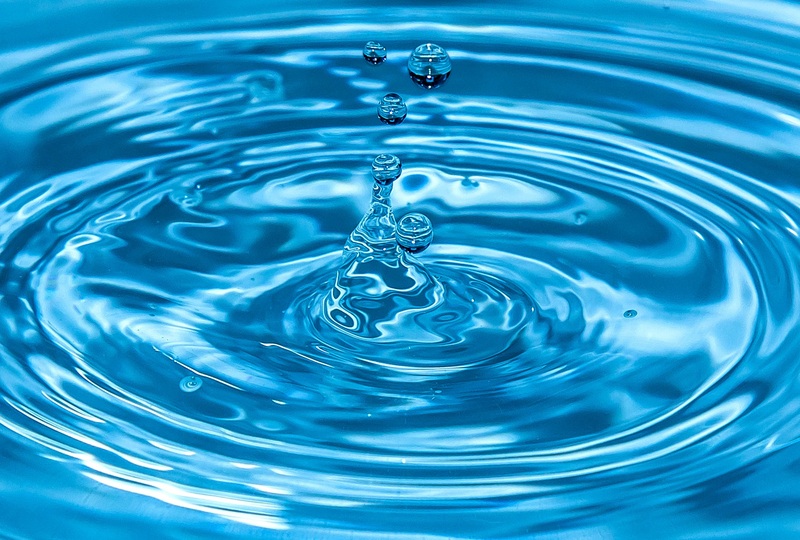 Not drinking enough water can lead to an array of skin problems such as dryness, dark eye circles, and gray face, all of which you can do without this year! This year there will be more awareness around how our inner environment affects our external appearance and how health and beauty go hand in hand. In addition to drinking water, eating nourishing and wholesome foods like this avocado and grapefruit smoothie bowl goes a long way in keeping your skin moisturized from the inside out. Other nourishing foods for hydrating skin include leafy greens, oily fish like salmon and sardines, cucumbers, coconut, carrots, nuts and seeds. As you can see, the options are endless, so the best piece of advice we can give you here is to get as creative as your mind will allow in the kitchen! 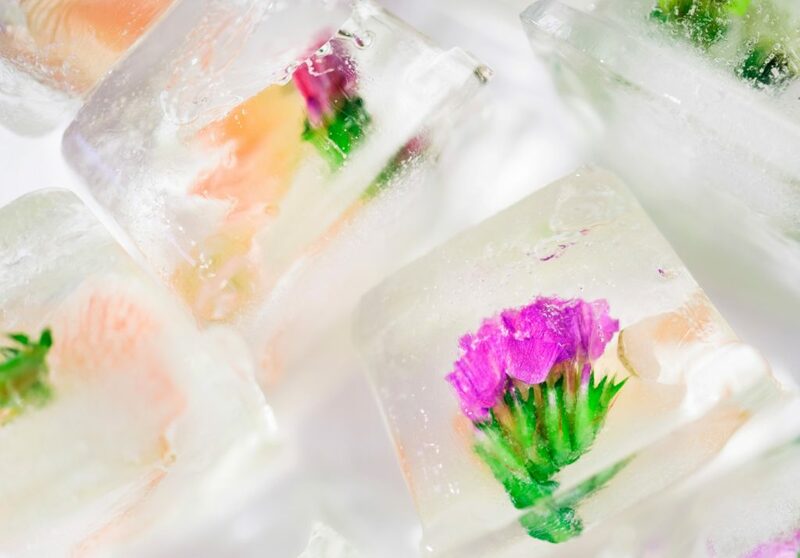 While cold showers have become quite popular lately for their many benefits, ice facials are something new you likely haven’t yet tried. Don’t worry, the process doesn’t quite involve submerging your head in a bath of ice (although a polar plunge has been proven helpful). The way we like to do it is by simply washing the face, and then wrapping a couple blocks of ice in a washcloth. Follow by gently massaging the face, focusing under the eyes, jawline, forehead and cheeks. Doing this regularly can stimulate blood circulation under the skin, slow the formation of lines and wrinkles, relieve puffy eyes, and provide much needed refreshment especially after a long day. When going through our skincare routines, it’s easy to neglect another part of our body in much need of attention. You may be surprised to learn that the skin on the neck area actually tends to sag a lot faster than the face does. If you think about it, the clothing we wear often exposes the neck to the sun and potential damage from UV rays. While no research specifically states the neck needs its own unique set of ingredients or products, this is no cause for neglect. Restore the skin on your neck by applying enriching oils that will keep it youthful and smooth for many years to come. Argan oil is just one excellent oil that will help promote elasticity in your skin, while moisturizing without clogging your pores. Simply apply a dab or two of your chosen oil to your neck, then massage in an upward motion, working against gravity to prevent sagging skin. This year give your skincare regime a makeover. Opt for a less number of products that promise to be clean and do not compromise efficacy. The philosophy behind this shift is inspired by making the right choice for a sustainable lifestyle. We believe in holistic beauty, and strongly support the cause of being kind to our environment through our vegan, cruelty-free products. A minimalist approach to beauty is all about using fewer, but efficacious products that contain higher concentrations of all good ingredients. Being mindful and considerate should extend to one’s beauty choices as well. This will not only help reduce packaging waste, but also help reduce the clutter on our shelves. Less is truly more. Don’t wait for your monthly facial appointment when you can have the same spa like experience at home. Masking has been a big trend and we believe it’s an excellent way to keep your skin nourished and pampered. We love passing along our beauty secrets and helping you feel even more beautiful. Turmeric treatments have been integral to our brand heritage and now they have become a global phenomenon. Turmeric has natural healing and restorative properties. Try this simple DIY mask known for its nourishing and brightening effects. Take a table spoon of chickpea flour with two spoons full of any yogurt, of your choice, add a tea spoon of turmeric, plus two drops of our atma facial oil. Blend well until it’s a paste like consistency. Apply all over your face and neck, leave on for 10 minutes, then rinse with cold or warm water. 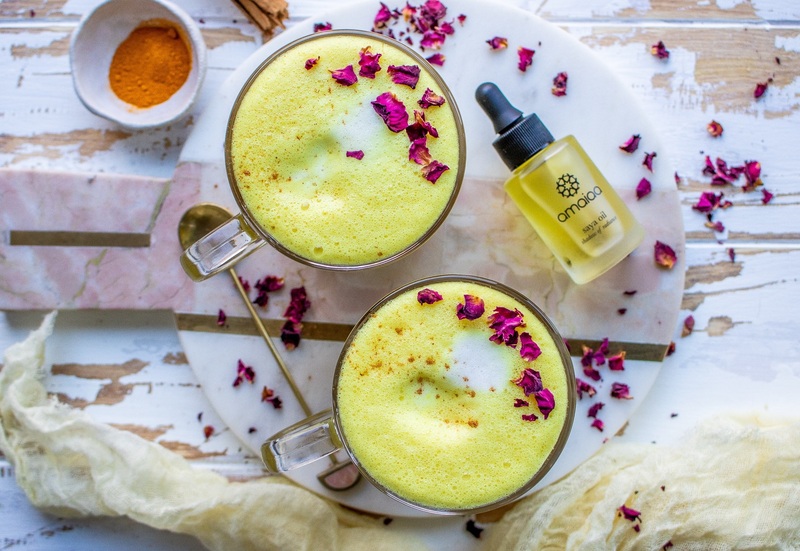 We also advise reducing some of your daily caffeine intake and replacing it with this delicious turmeric latte. When we lag behind in our daily goals, sleep is often the first sacrifice we make, when it is the most basic act of self-care. Lack of sleep causes many imbalances, resulting in us gaining weight, reducing our immunity to fight diseases, and causing inflammation or bloating. Over time, sleep deprivation can have serious consequences which no super powers of yoga, green smoothies, and meditation can make up for. A good night’s sleep means good health for the skin because when you’re sleep-deprived, your body makes more of the stress hormone cortisol. Elevated levels of cortisol can lead to increased stress and inflammation in the body, hurting your skin’s quality. In contrast, skin conditions and sleep quality can also improve together. Getting a good night’s sleep will help to clear up skin, which allows sleep to improve and, in turn, will improve skin health. So in 2019, promise yourself 7 to 8 hours of good quality sleep. And yes, keep that mobile phone away from your bedside! We hope these 10 tips will help you frame your 2019 skin care resolutions that become lifelong habits. We, at amaiaa believe that you should be your own favorite, and beauty is in wellness, kindness and empathy. So be kind to yourself.